Guess what: it’s available for pre-order from Amazon, B&H Photo, and Adorama. We’re waiting for a review unit. 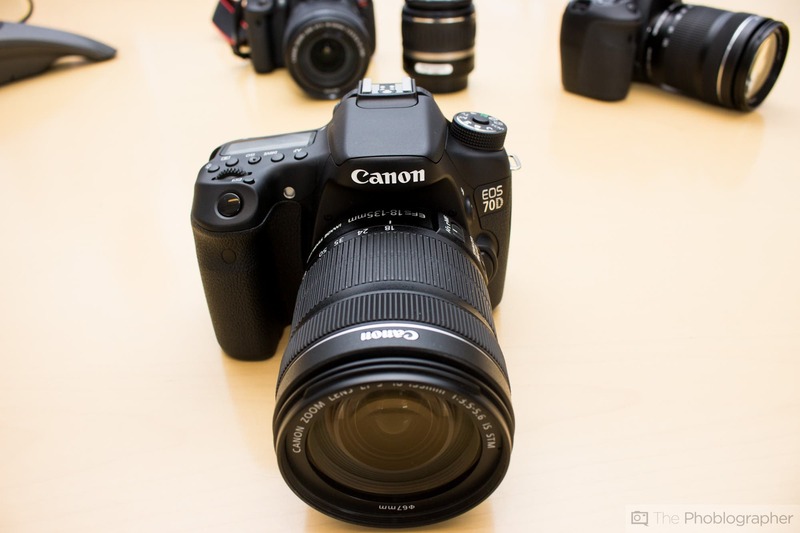 In many ways, Canon’s 60D annoyed many customers who felt that in order to upgrade, they would need to move up to the 7D. It felt like a fusion between the 7D and a Rebel, and removed critical features such as micro adjustment of lenses. In fact, users set up an online petition to convince Canon to put it back in. Today, the company is announcing the brand new 70D–the replacement for the 60D. It sports a 20.2MP APS-C sensor (though it is slightly larger physically to get performance comparable to the 7D) and has a brand new revamped autofocus for video that really blows anything else that I’ve seen out of the water. This time around, there is phase detection at every pixel in addition to two color diodes at every photo site. 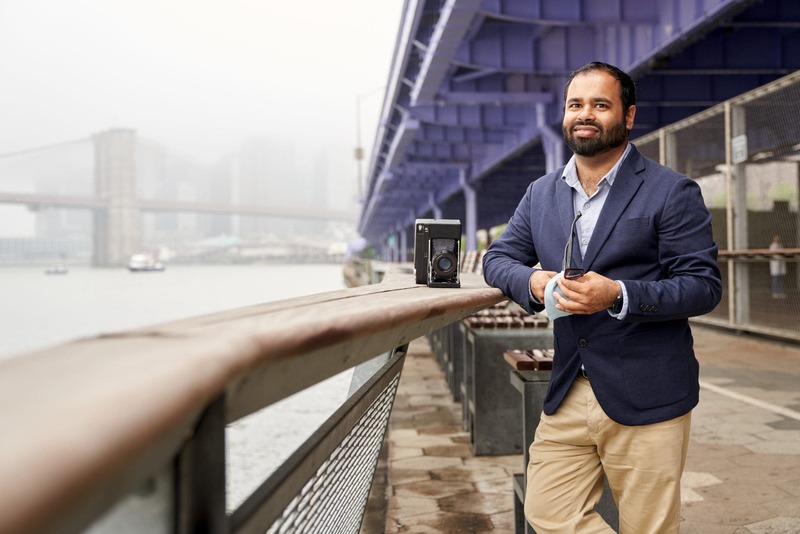 But beyond the sensor, it shoots 7fps, has the intelligent viewfinder of the 7D, built in WiFi transmission, and a 3″ vari-angle LCD touchscreen. We spent some up-close and personal time with the camera at Canon’s business headquarters in NYC last week. 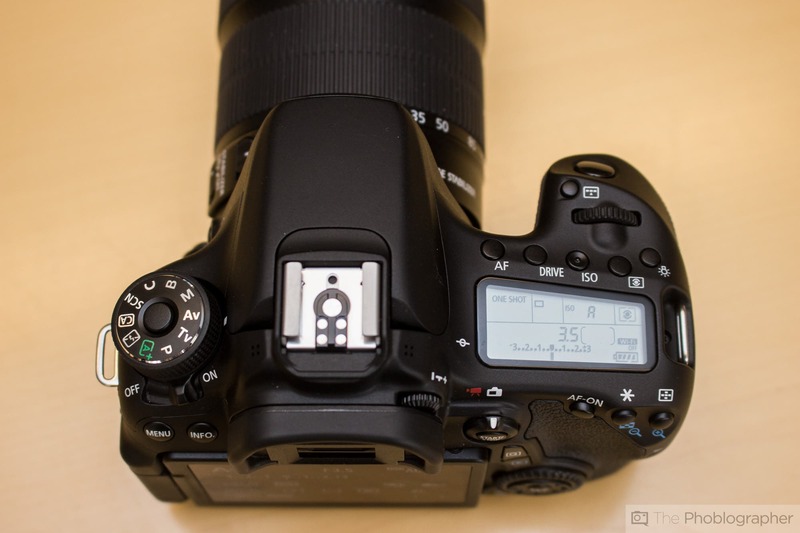 Canon’s 70D is a natural evolution of the 60D given the way that the company has evolved in the recent years. And with that said, the front of the camera is still very plain Jane. There isn’t much in terms of controls here, but you should note that there is an AF assist beam, lens release, and the shutter button. 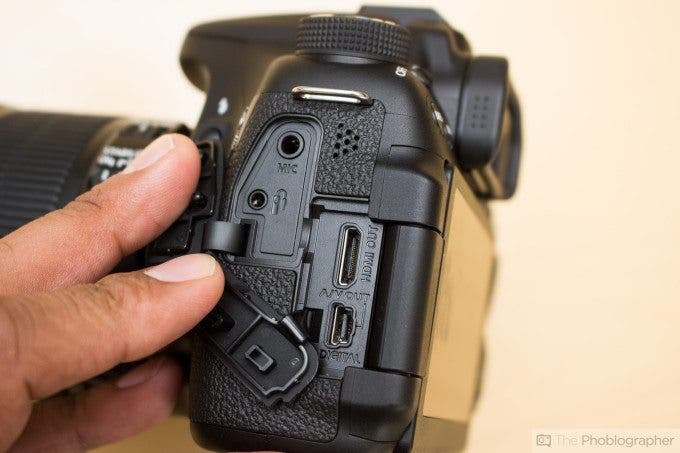 The top of the Canon 70D will look very familiar to Canon users. The mode button still prioritizes the expert modes over everything else and carries over the center depression button from its predecessor. Here is where the on/off switch is also located. Then there is the hot shoe. To the top right is the information display LCD screen along with the according controls. Plus one exposure control dial is here along with the focus type selection button in front of it. The back of the Canon 70D is the home of a couple of different controls. On the top left is the menu and info button. 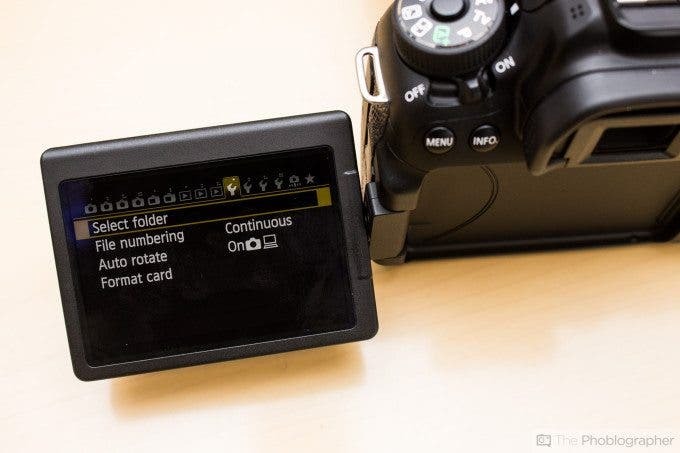 The right of the LCD screen is where you’ll find typical Canon controls such as the quick menu, Live View switch, back dial, set button, delete, zoom, and more. The 70D, like the 60D, eliminates the Canon back joystick that I’ve loved so much for years in the higher end cameras. For those not familiar, the older 50D had it. To the left are the ports on the camera–and these are a bit odd. Despite how hard they’re pushing this camera for its video capabilities, Canon decided to leave a headphone jack out of the equation. Likely chances are that you’ll be recording audio separately from the video, but news shooters typically don’t have the time to do this. So monitoring the audio here would have been extremely clutch. Oh right! And the LCD screen is touch capable and flips out as well as includes a vari-angle tilting feature. The 60D had a solid build quality to it, but if you’re used to the higher end models, it won’t totally tickle your fancy. However, we can’t say that the camera isn’t well designed or well built. Folks that are moving up from a Rebel will greatly appreciate this camera’s rugged feel. 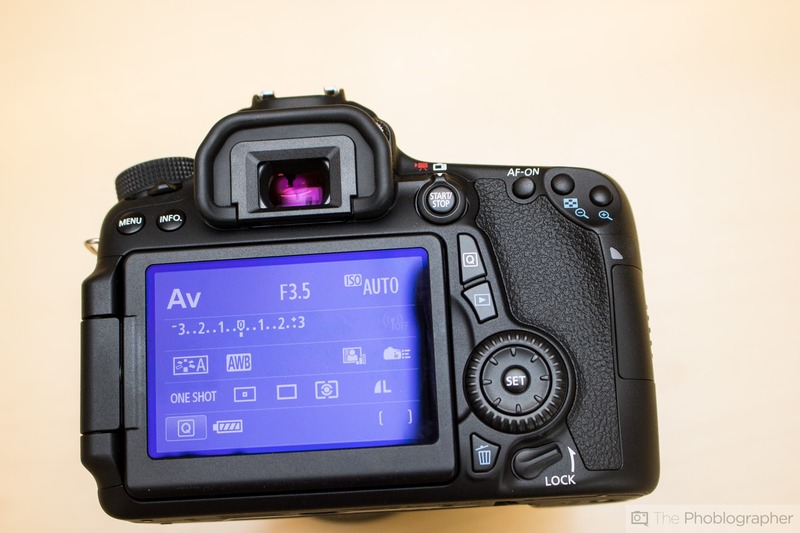 Veteran Canon photographers will be very familiar with the menu system and controls. Users coming from Nikon may be a tad confused though. To this day, I know many Nikon photographers that say that the only Canon DSLR that they like is the 7D due to how Nikon-like it felt. In the photo above, you’ll notice the new way that Canon has decided to set up ratios in the camera–which is a much different layout than was previous. This camera is clearly aimed at both Panasonic and Nikon. Both the Nikon D7100 and the Panasonic GH3 are quite the video contenders in the autofocus game. However, from what we saw in our demo, Canon has them beat. 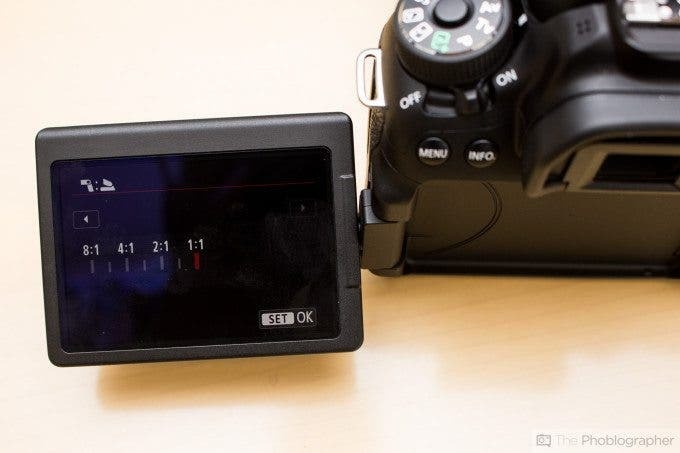 The 70D has three different types of autofocusing for video mode: the entire area in auto, center area only that isn’t expandable, or using the touch to focus capabilities. And they’re all really fast, but notably faster and quieter with Canon’s new STM lenses. Unfortunately, we were given specific orders that we couldn’t record the Live View screen. We couldn’t put a card in the camera because it is a pre-production unit. With that said, we were told to expect comparable ISO performance with the 7D and better color due to the new pixel structure. I like the way that Canon is going with the 70D. Though I’ve bashed them in the recent years, I like the direction that they’re going, the fact that they see other companies innovating and trying to fight back. The 70D seems like quite a camera for a news shooter, sports shooter, father, and for anyone looking to get more serious about their photography overall. When the camera launches in September, we’ll be sure to get our hands on a review unit.